Yeovil District Hospital NHS Foundation Trust/ Latest news/ Trust news and events/ Yeovil Hospital best in England for staff health and wellbeing! Yeovil Hospital is the best Trust in the country for staff health and wellbeing, according to the latest independent NHS staff survey. Every NHS Trust in the country takes part in the annual survey, which provides staff with the opportunity to anonymously share their experiences and opinions of their job and their employer. Results are collated and shared with each Trust enabling them to see how they compare to the rest of the NHS and to identify areas for improvement. Questions cover a wide range of topics, from work/life balance and morale to sickness and diversity. The more staff who participate in the survey the more powerful and relevant the results, which is why Yeovil Hospital was also pleased to have recorded the highest response rate for any hospital in the country – 71 per cent compared to a national average of 44 per cent. Yeovil’s result for health and wellbeing means staff have rated the hospital more positively than staff of any other of the 230 NHS organisations surveyed. “These results are extremely important to the hospital, because they reflect the real experiences, and opinions of our staff. 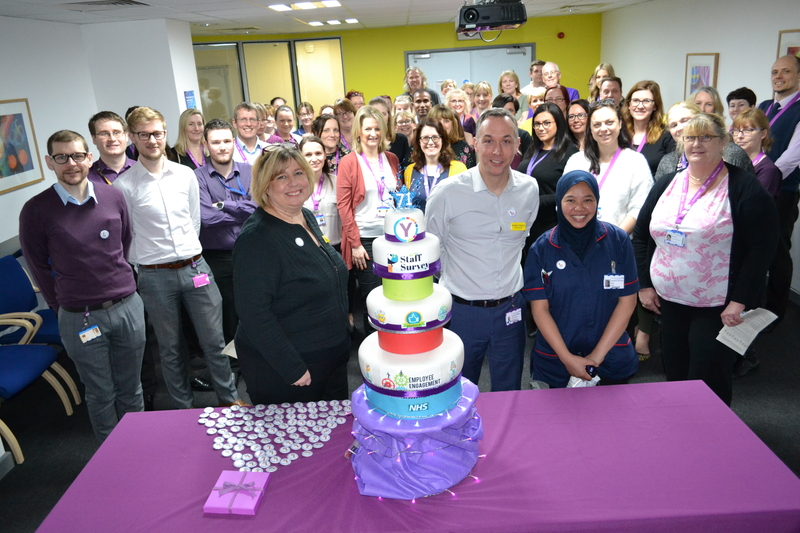 “Working in a busy acute hospital is demanding and challenging, so we have invested a lot of time and energy into the health and wellbeing of our staff during the past two years, offering events, resources and support, which give them the opportunity to draw breath during their working day. We know that a healthy and supported workforce, means a happier workforce, with less sickness and higher retention. Ultimately, that means better care for patients. “To be amongst the best NHS organisations in the country in such important areas as safety, morale, and engagement, further demonstrates the value we place on the welfare of our staff. As a trust which has a workforce representing 62 nationalities I’m also particularly pleased to see how well we are doing when it comes to supporting diversity and inclusion here at Yeovil.”.